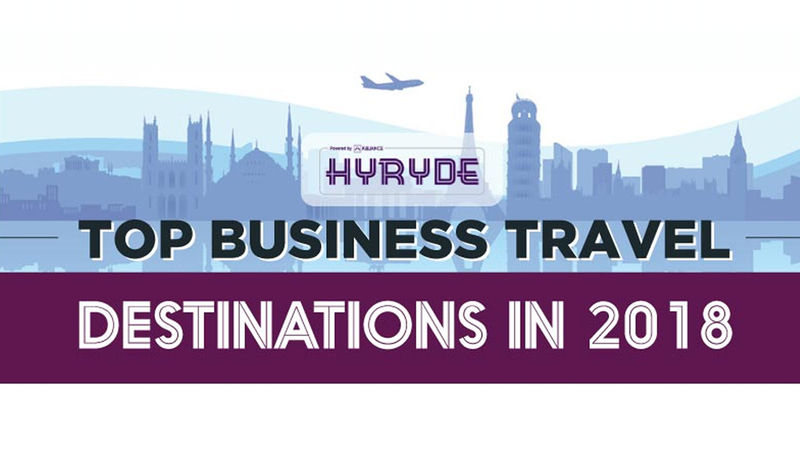 If you’re currently in the process of creating a shortlist of possible business travel destinations, continue reading to discover a handful of must-visit travel destinations which double as superb business destinations. If your business produces tangible, physical products, it’s well worth visiting China, where you’ll be able to sign deals to manufacture high-quality products at a fraction of the cost which you’d pay to manufacture your products locally. Alternatively, if you’re looking to start exporting products to a country which boasts a high population and a large target audience, it’s also well worth visiting China on a business trip. As China boasts one of the world’s largest markets, which you may want to consider tapping into. Whilst conducting business in China you’ll also be able to walk a section of the Great Wall of China, gaze upon the world famous ancient Terracotta Warriors and enjoy a luxury river cruise down the Yangtze River. Another destination in Asia which makes the perfect destination for a business trip is Thailand. One of the reasons why you may want to consider conducting business in Thailand is that living costs are extremely cheap in Thailand. In fact, many businessmen and women are able to contract staff for a fraction of the price which they’d pay to hire high skilled employees back home. When you’re not conducting business, you’ll be able to visit private islands, explore historic Thai temples and enjoy inexpensive Thai massages. So if you’re looking to embark on a trip which mixes business with pleasure it’s well worth adding Thailand to your shortlist of must-visit business destinations. One of the major benefits of traveling to the United Kingdom for business is that the rules around conducting business differ in the UK. As an example in the UK, businesses including foreign businesses such as American businesses are able to freely advertise crowdfunding opportunities. Which is highly restricted in the US. So if you’re looking for seed money or capital for your growing business, it may well be worth traveling to the United Kingdom in order to meet with potential stakeholders, who’ll be willing to provide your business with capital in exchange for equity! Whilst conducting business in the United Kingdom you’ll be able to visit some of the UK’s most famous landmarks and attractions. Examples of which include the Tower of London, Stonehenge, Harrods and Buckingham Palace. While most businessmen and women flock to Asia or Europe in order to negotiate business deals, in recent years the number of individuals who fly to Mexico to conduct business has increased rapidly. As Mexico like China offers a huge market to sell your products and services to and also boasts a multitude of world class factories. One of the bonuses of pursuing business opportunities in Mexico is that you’ll be able to visit ancient Mayan ruins and sip cocktails on a picture perfect white sand beach which offers phenomenal sea views. So if you’re looking for a destination which offers plenty of business opportunities and leisure opportunities it’s well worth booking a plane flight to Mexico, the United Kingdom, Thailand or China!